I met big wave photographer Richard Hallman in Peru, Pacasmayo, a few months ago. He was in Hawaii yesterday, shooting photos at Jaws in perfect glassy conditions! Check out these two amazing photos, with Shane Dorian proving once again that he is the master. 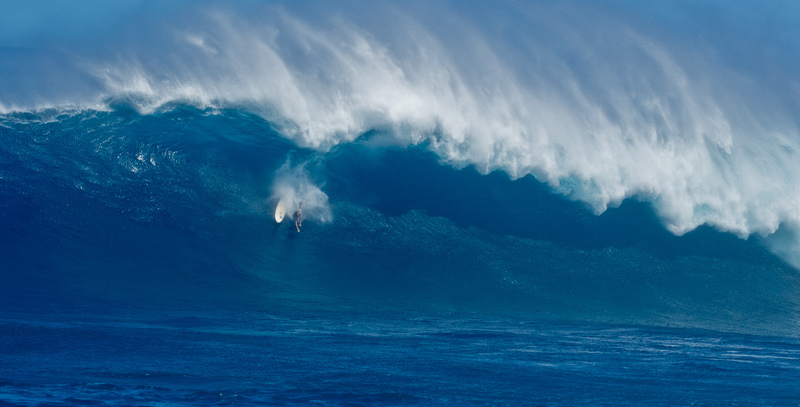 Will it be enough to win the Billabong XXL Big Wave Award?